Is there a better image than this to capture what a BIG year feminism had in 2014? Image Credit: Flickr.As the year wraps up and our social media news feeds become filled with lists ranging from the past year’s highlights to the coming year’s resolutions, my favorites catalogue just how hard 2014 for feminists. As the year wraps up and our social media news feeds become filled with lists ranging from the past year’s highlights to the coming year’s resolutions, my favorites catalogue just how hard 2014 rocked for feminists. And we also took control of the word feminist. In 2014, we saw more and more high-profile women not only defend feminism, but reenforce what it means: The simple belief that men and women should have equal rights and opportunities. Young women, from Taylor Swift to Lena Dunham openly embraced the label often thrown at women as an insult. From Malala to Ginsberg to Beyonce it’s safe to say women owned 2014. Image Credit: Flickr. 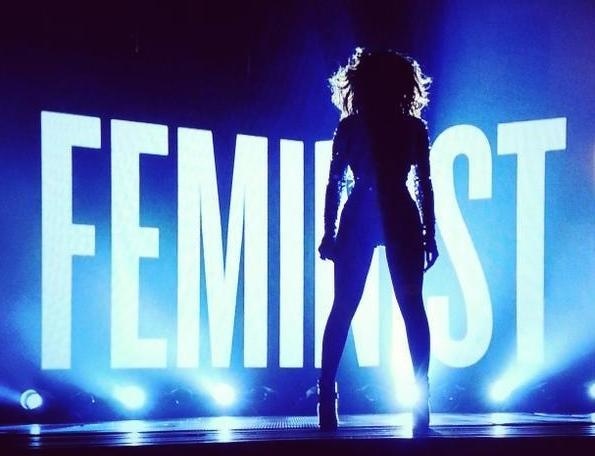 But there can be no discussion of feminism’s big year without a major hat tip to Beyonce. The living legend sent the message to her audience that feminism is cool by performing in front of a giant, glowing “Feminist” sign at the MTV Awards. Feminism also turned up everywhere from hit TV shows like Scandal to news programs like Krystal Ball’s Krystal Clear on MSNBC. Feminism entered the public conversation in major way in 2014 from the small screen to the big screen as well. Writer/director/producer, Gina Prince-Byethwood successfully fought to get notoriously sexist Hollywood to pick up her film, Beyond The Lights which centers on how the music industry hyper-sexualizes and sells young women. From Taylor Swift’s feminist ‘epiphany’ to Emma Watson launching HeForShe at the UN, 2014 was chalk full of feminist moments. Image Credit: Flickr. On the international front, women were busy making history. Iranian-born Maryam Mirzakhani became the first woman to ever win the prestigious Fields Medal, mathematics’ Nobel Prize, marking a major moment in the academic fields of science, technology, engineering, and mathematics (STEM) for women and girls around the world. Middle-Eastern and Muslim women challenged stereotypes of being passive, apathetic victims and took religious extremists to task. Kurdish women wowed the world by fighting ISIS on the ground in Iraq, and despite the Taliban continuing to set her homeland of Pakistan ablaze, seventeen year old Malala became the youngest recipient of the Nobel Peace Prize. Basically, across the board and around the world in 2014, women broke barriers and in the process, discovered how the Internet just might be feminism’s greatest ally. 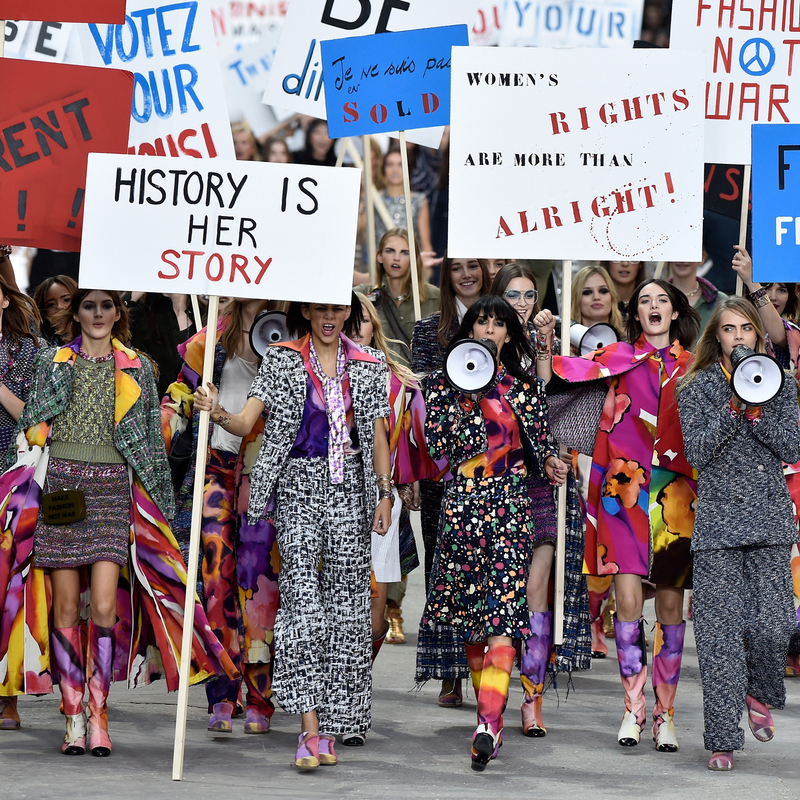 Feminism was so cool in 2014 even fashion label Chanel jumped on the bandwagon. Image Credit: Flickr. As feminist hashtag after hashtag trended on Twitter, it became undeniable that women online had some serious digital capital and we know how to use it. From #BringBackOurGirls to #YesAllWomen to #AllMenCan, hashtag activism showed us if there was ever a place feminists could mobilize to take our power back, it is the Internet. We blog, we network, we post, and most importantly we organize online for the shared goal of gender equality. As feminism’s big year comes to an end, we can only anticipate that an even bigger year awaits us in 2015. Because the truth is, sexism is so passé. *This post of mine was also published on The Huffington Post & ClickIttefaq.